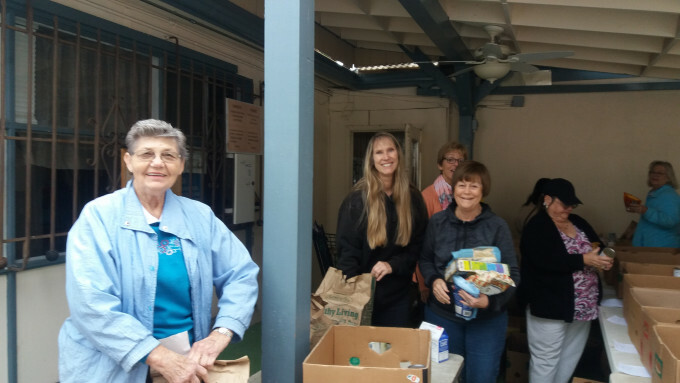 More than 25 members and friends of the congregation gathered on Saturday, January 5th to help sort through donations at CCSA's Clairemont neighborhood location. 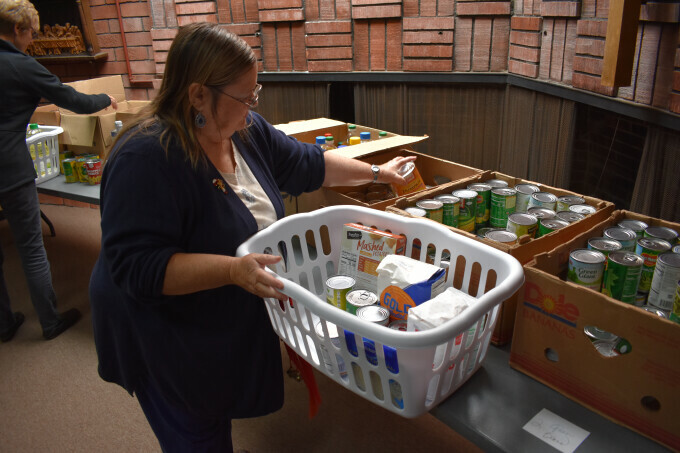 The food items were collected over the holiday season by various congregations. This food can now be issued to clients, thanks to the help of the volunteers. More than 300 bags were assembled. On Sunday, December 9th, we assembled and decorated 30 Christmas Food Baskets for the annual program coordinated by CCSA (Community Christian Service Agency). Non-perishable food items and money were collected throughout November. Thanks to all at Clairemont Lutheran who will make Christmas brighter for these families. Side Note: On Saturday, December 8th, some of our youth and young adults helped out at CCSA's Clairemont neighborhood location (thanks to Pastor Nate for the photos).